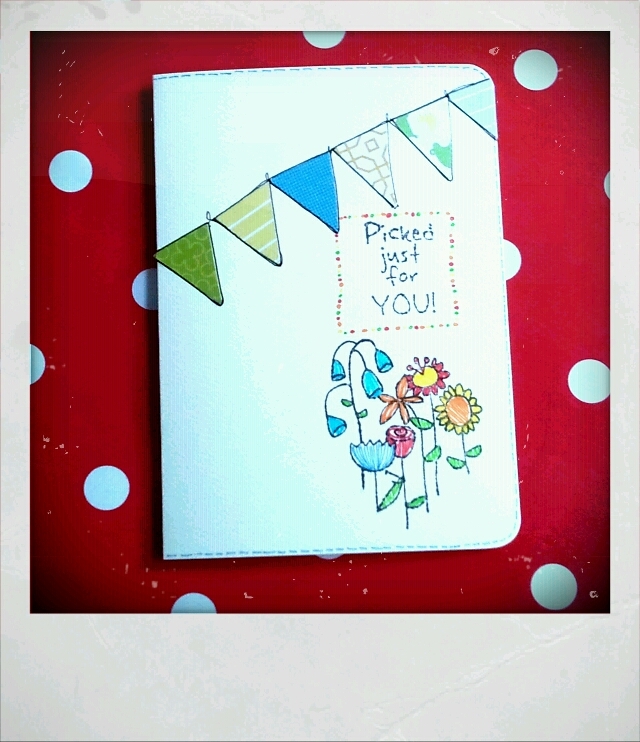 Today I was experimenting with making new cards in a much simpler style. 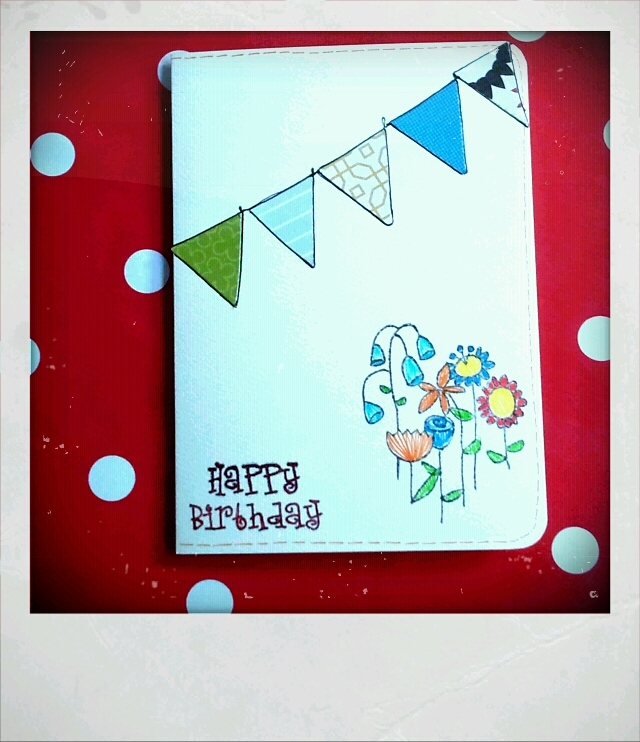 While I was in 'Silks' I picked up a card making magazine( can't remember what it's called but I think Papermania are involved with it since they use most of their products). I'm not mad about the things that they make as they are a bit Mumsy, but I buy it to use some of their methods, instead using nicer paper that I got from America. 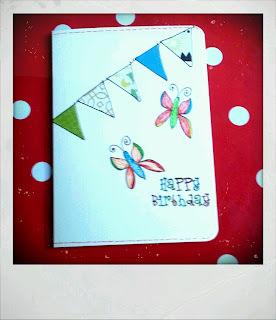 But they did have a same of a simple card using paper for bunting and a stamp used straight on the plain blank card. I loved the simplicity of this. It's nice to have a card that is a bit easier to make than the others since they take up so much time. I also made up some new stickers for myself. 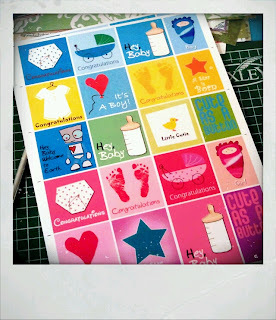 Lots of people have been asking for new baby cards so I made up a batch the other night and I already sold some at the weekend. I'll probably include these designs in my new stickers for sale...that is when I get around to design the rest of them.